Shinichiro Ogata has the gift of ubiquity. On the one hand, he makes objects from glass, ceramics and bronze and which adorn the most prestigious restaurants. 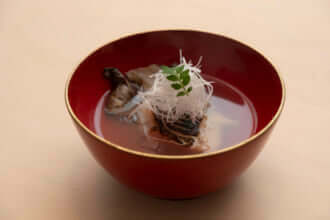 On the other, he’s a fantastic cook, producing both traditional Japanese food and more contemporary dishes. Located in the Meguro district, right in the middle of a beautiful garden, Yakumo Saryo exudes a sense of calm. 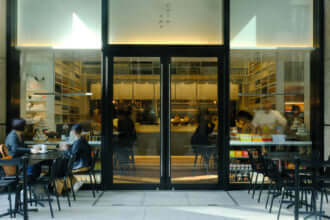 Ogata’s aim was to open a restaurant where customers would be able to escape the stress of city life. It’s safe to say he’s succeeded. Both in the dishes and the surroundings, the watchword is the same: craftsmanship. 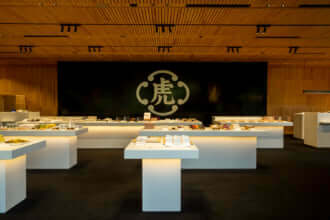 Ogata’s cuisine reflects his art, it’s simple and refined, with a typically Japanese charm. It’s a soothing journey. The restaurant offers a breakfast (JPY 3200, EUR 24, VAT and 10% service charge excluded) and lunch service (JPY 5000-12 000, EUR 37-90). Dinner is available only by personal invitation from the restaurant (the customer also needs to have already had lunch at the restaurant).